Few years back I myself witnessed a wedding where the photography was impeccably done by a drone. Basically when I searched the price package for wedding photography I found that those packages cost a fortune and realized the potential of drone immediately. Unexpected trends are gradually taking place in Indian wedding platforms and the exclusive fashion house for women Ommyra jotted down few of the trends for your benefit. Modern women want offbeat, be it wedding venue, fashion, food and yes honeymoon spot; everything they want in an impeccable manner with a signature of rare. Minimal jewellery, simple wedding lehenga with lots of love and care gradually take the place of lavish and elaborate weddings. Chunky jewellery isn’t the mantra anymore, though it is very common still when a marriage is concerned but modern girls are opting for classic pieces that can be worn regularly for various functions after the wedding. Nowadays the pre wedding functions became as serious as the wedding itself. Teaming up a jazzy lehenga with a subtle choli or choosing a dupatta that has intrinsic works in it are in vogue these days. Shararas that are less gorgeous but have more embroidery works in it become the foremost choice for the modern brides. A sari as eternal appeal it holds dons a new avatar these days. Hand woven intricate saris or traditional cottons that bear special bonding from mothers or grandmothers take the place of opulent and exorbitant ones. Rich thread works or mirror works also got a say nowadays in wedding saris. Modern girls love to repeat their wedding outfits and thus do not want to buy something very expensive and especially made for one day wear. 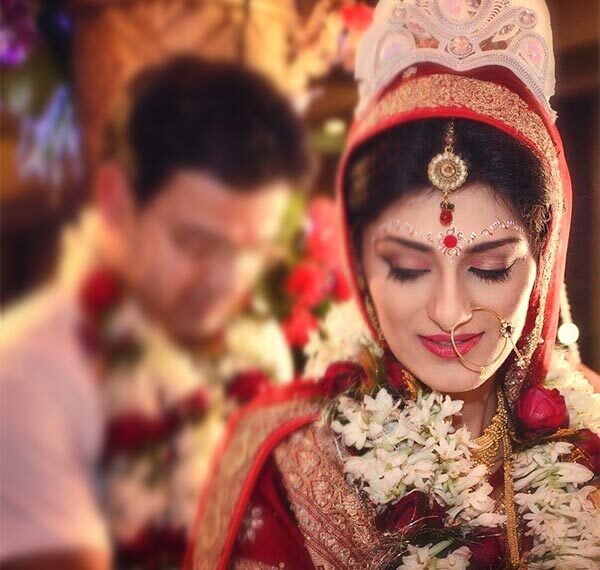 Bridal wears are not anymore red; colors play a huge role in bringing out a modern bride’s style without much fuss. Blush, mauve, light teal, ice blue and light mint are great for the minimalistic yet classy style statement nowadays. Modern brides search for a bridal look sans the glittery image. Leather jackets teamed with ethnic kurtis and skirts, crop cholis collaborated with plain high waist lehenga or the opulent sari gowns roar the wedding aisle these days. According to the modern brides these trendy yet different dresses will make them stand out on their D Day. The place of traditional gold is slowly acquired by platinum with their subtle appearance and modern values. Being different is the new style statement now.